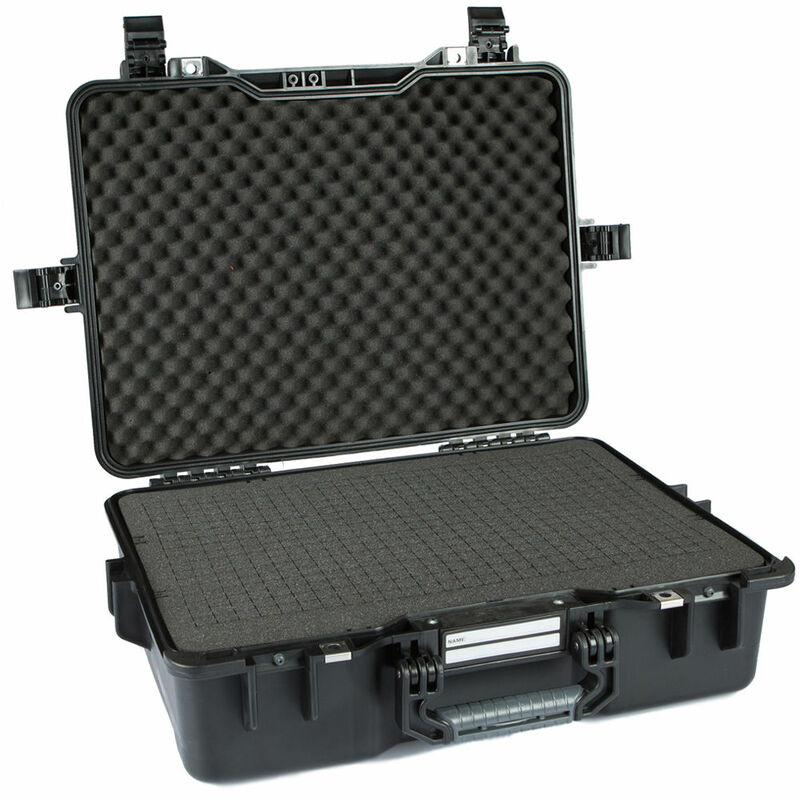 The black G33 Hard Case with Cubed Foam from GoGORIL is a watertight and dustproof case. It features four recessed butterfly latches, a carry handle, and stainless-steel padlock protectors. It accommodates photo equipment, video camcorder, audio gear, and accessories. The case comes equipped with a multi-layered cubed foam insert.